Once you book your session , we provide you with all the help you need, including how to pick what to wear , what to bring and what to do so you are well prepared for your session. How long does a photo session go for? Estimate an hour for your hair and makeup and couple of hours for your session. However time does fly by when you are having fun, so keep enough time at your disposal and enjoy the experience. Plan a date night or a girls night out cos you will be looking and feeling ravishing when you walk out. How long before I get to see my images? Estimate around two weeks for us to complete your images and get them ready for your viewing. I need Albums and Wall Art for my home. Can you help? We believe beautiful photographs shouldn’t sit on a USB gathering dust in a drawer. We would love to help you with your printing needs. No RAW files will not be provided. 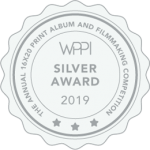 We believe in delivering finished products and once your images are ordered, we provide you with JPG format digital file and a beautiful matted print of the image in a breathtaking handmade Italian leather folio box. Can I scan my printed images ? It is illegal to scan your prints. Photographers hold the copyright to the images and once you purchase the digital files, you can get a print release from your artist and create printed work. Can I get only digital files ? Digital files are provided with beautiful, matted prints printed at a professional lab. How much is your session fee? You are unique… so are we. We are not your “In the local Mall” chain store where you get a 30 minute time slot for your session and the standard set of images that look like everyone else’s. We create a custom portraits that capture the essence of you. Remember those magazines you look at and think, I wish I could feel and look like one of those beautiful ppl in the magazine. Well now is your chance. Our goal is amazing customer service and products. Through our pre-consultation, we plan your photo shoot to maximize the things that are important to you. Providing hair and makeup service, on set, prior to the shoot gives you the comfort of not having to worry about getting those things done ahead of time.Your session is an experience and we build it to make sure you get images that will become your legacy. Not a fashion model?? (Most of us aren’t :). But who doesn’t want to feel like one?) Not to worry, we’re experts at guiding you to the right poses and we have plenty of experience working with people of all comfort levels. Bring your daughter along for some amazing mother daughter images. Bring your best girl friend along and enjoy the makeup and hair pampering. Invite your partner and family to join in later so you can add some family images. How long do you keep my photographs for ? We archive your images after you viewing session for 6 months. There is a retrieval fee to extract your images back once your session is archived. After that time your images are purged. Ordering not completed within two months of your session are sent into archival automatically and will be purged after 4 months. Do you do Head shots and Personal Branding? Well we specialize in Personal Branding and head shots. Enhance your brand by refreshing your Business professional images. So how do you want to be photographed? 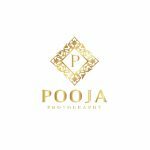 Pooja Photography reserves the right to use any photograph in any form such as, but not limited to, the use in advertising, reproduction, and copyright. 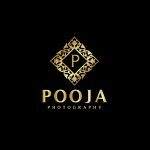 All images are copyrighted by Pooja Photography (Clickmypix LLC), even those you purchase. Copying, scanning or reproducing images is strictly prohibited. Print-screening images from this website is also against the law. All offenders will be prosecuted accordingly. Prices are subject to change without notice and are non-negotiable unless a session is booked. Due to the custom nature of photographic products, no refunds will be issued. By hiring us, you agree to these terms.